I received an invitation from a friend of mine to visit a local enthusiast who is the keeper of a piece of Bridgend’s history. Retrieved nearly 40 years ago it’s a 3ft x 4ft sign showing the rates for Bridgend market as printed in 1906. It used to hang in the old market hall that was in Caroline Street in Bridgend town centre (where Boots the chemist is now) and when this was demolished in the 1970s the sign was relegated to the rubbish pile. Thankfully it was saved for future generations to enjoy and discussion is under way as to its future. Whilst viewing and photographing the sign I happened to glance into the back garden of the house we were visiting and noticed a large mound with a chimney protruding. Curiosity got the better of me, “Is that an Anderson shelter?” I enquired. 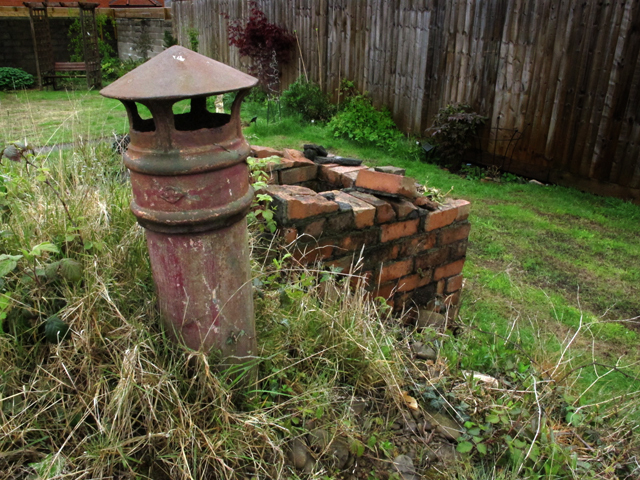 We were then led into the garden to view, not an Anderson shelter, but a brick-built air-raid shelter, still complete although now minus its bunks. I could hardly contain my enthusiasm when we were invited down to have a look, never expecting it would still be accessible. 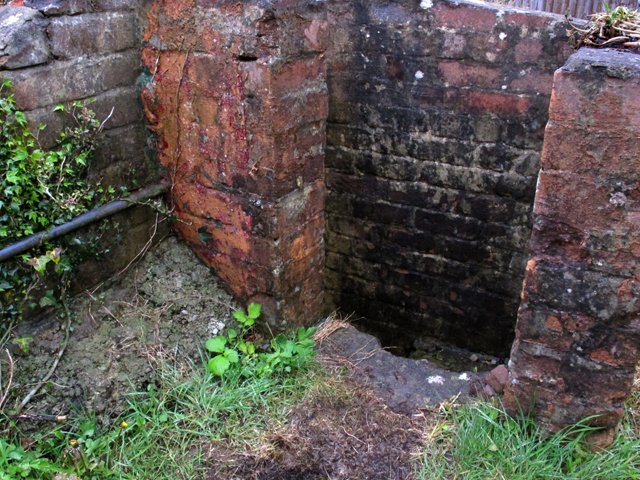 The first photograph shows the narrow entrance and steep stairs down into the shelter. Inside the original lighting and switches are still fixed although now not operable. The chamber is very small at about 6ft square with a hatch tunnel going off the far end. 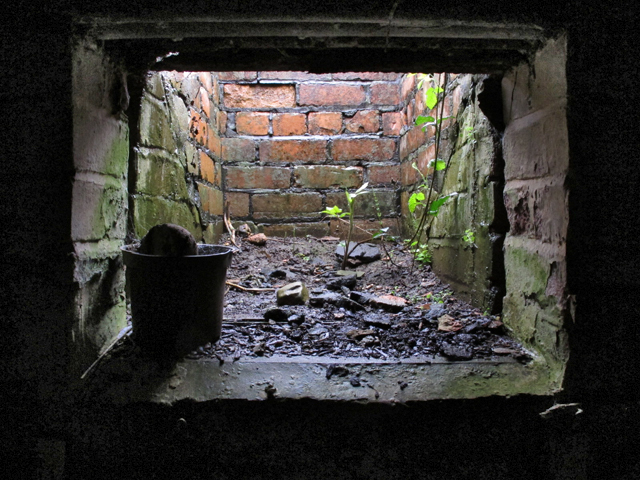 This originally had a wooden lid fixed which could be lifted, I guess this could have been how provisions may have been lowered into the shelter and the second photograph shows this hatch. You can also see the cast-iron chimney but from inside I couldn’t see to what it may have connected; perhaps a little stove? 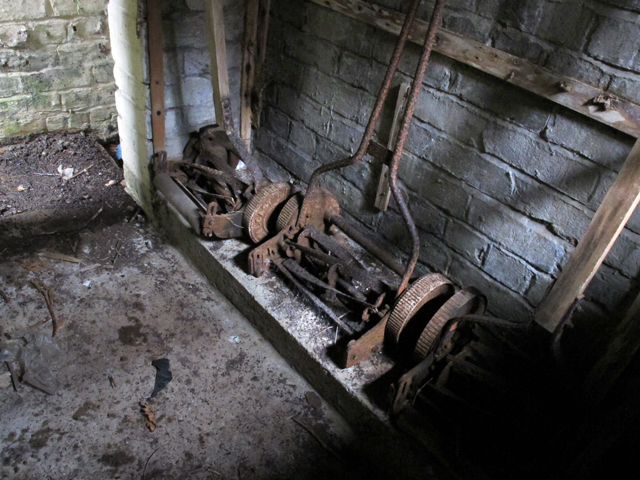 The third picture shows the hatch viewed from inside and there was just enough light entering the shelter through the door and the hatch to take the fourth photo of the ancient lawnmowers that are being stored down there. In all, a very interesting find and less than a quarter of a mile from my own front door!